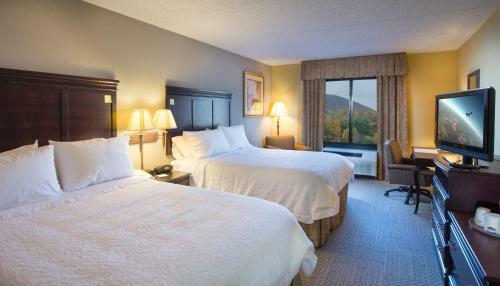 This hotel is 2.7 miles from downtown Bennington, Vermont and 1.5 miles from Bennington College. 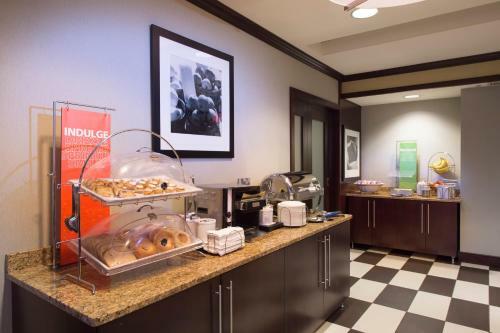 It serves a buffet breakfast with hot and cold items and features rooms with free Wi-Fi. 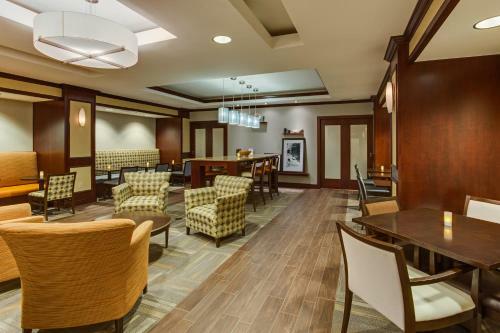 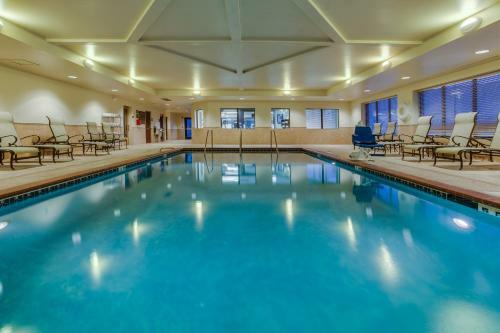 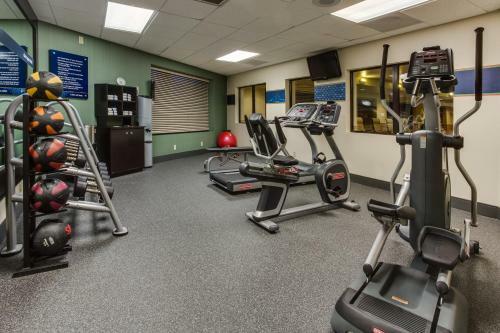 Free access to the hotel gym and indoor pool is provided to all guests of the Hampton Inn Bennington. 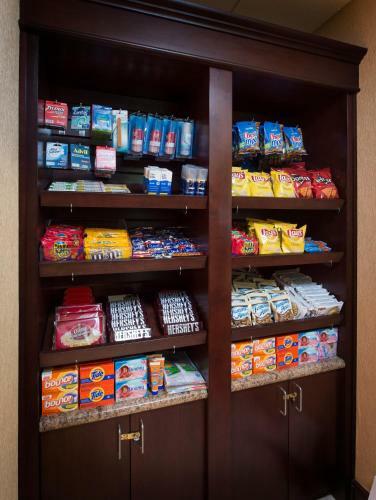 Snacks and beverages can be purchased at the on-site convenience store and free parking is available. 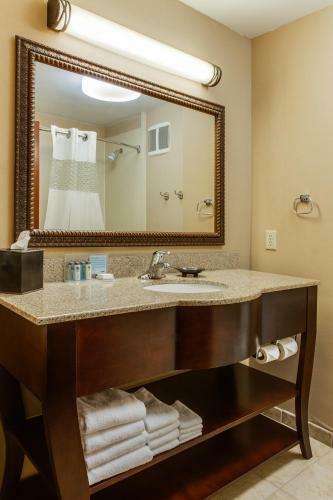 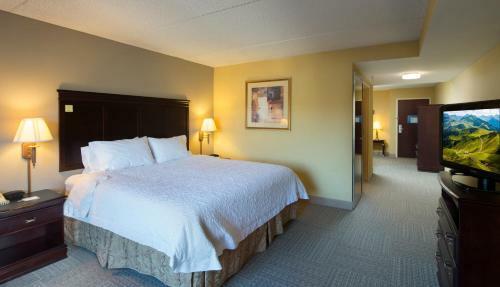 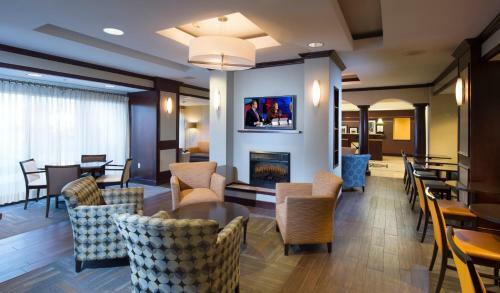 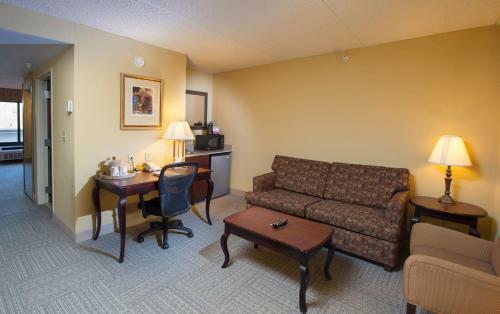 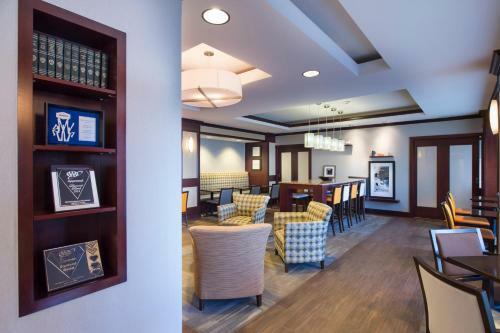 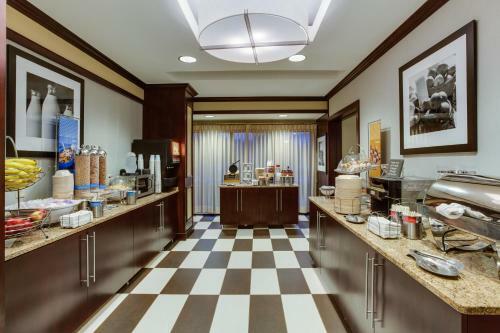 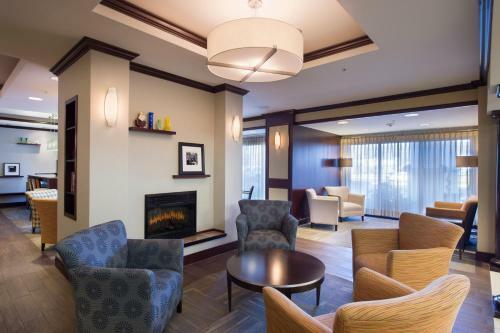 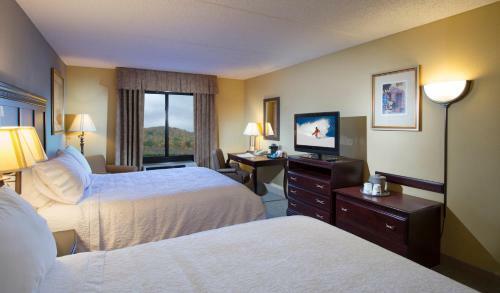 Each spacious room offered at the Bennington Hampton Inn is furnished with a cable TV and coffee maker. 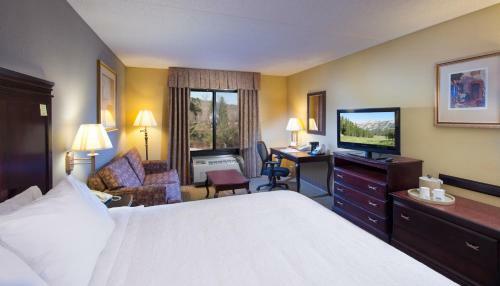 Decorated with white linens and dark wood furniture, all rooms include a large work desk and ironing facilities. 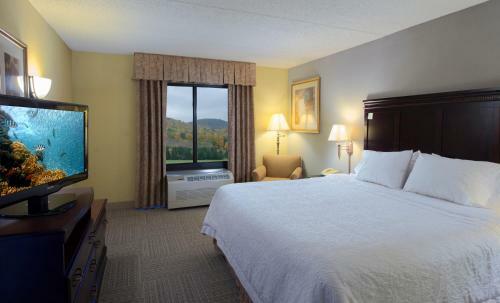 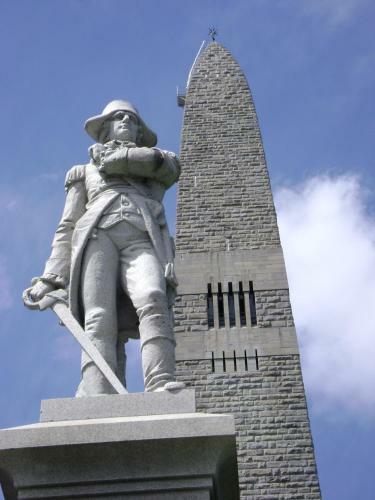 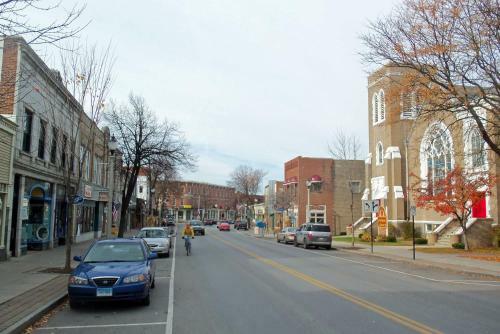 Bennington Museum and the Robert Frost Stone House Museum are both 3 miles from the hotel. 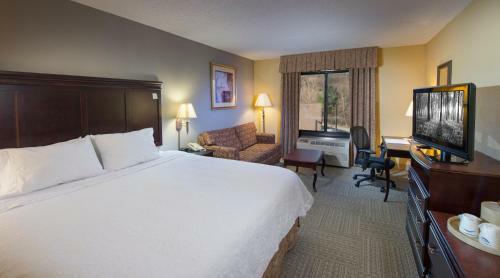 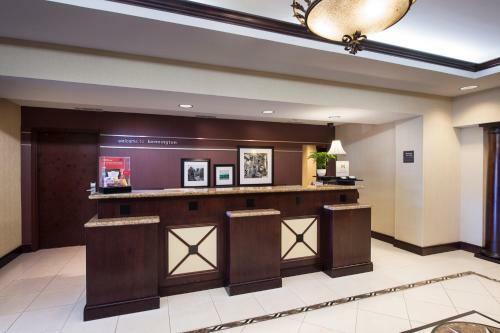 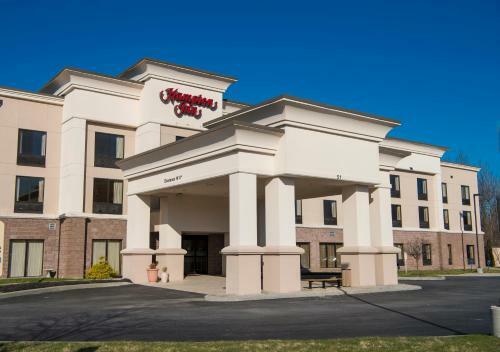 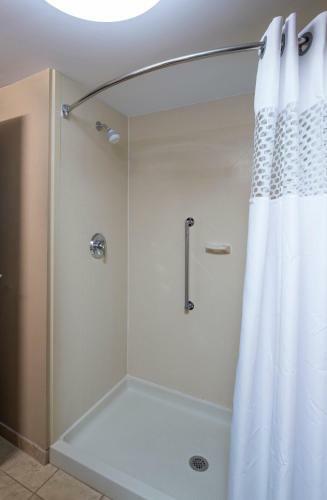 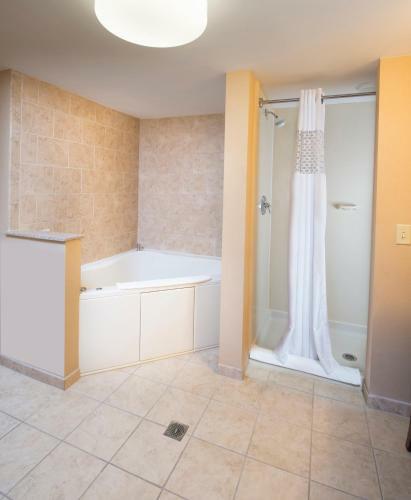 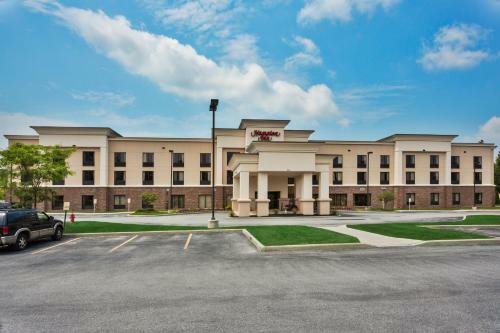 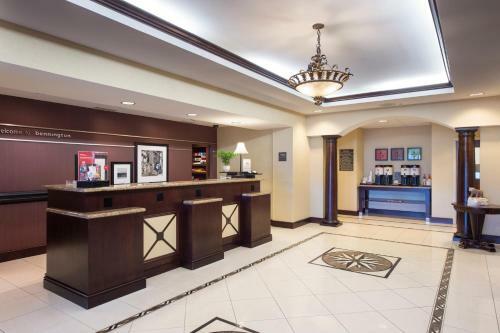 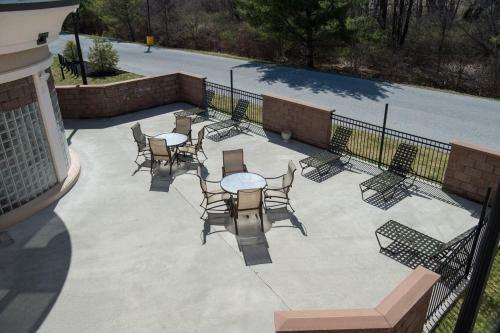 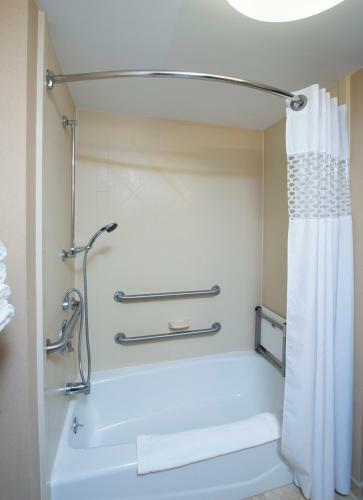 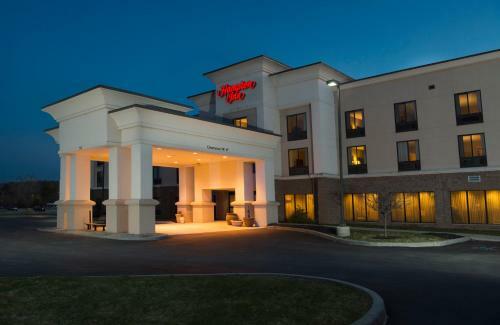 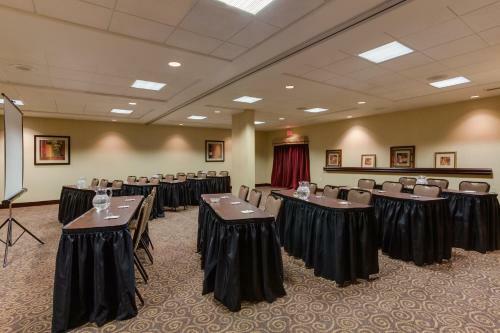 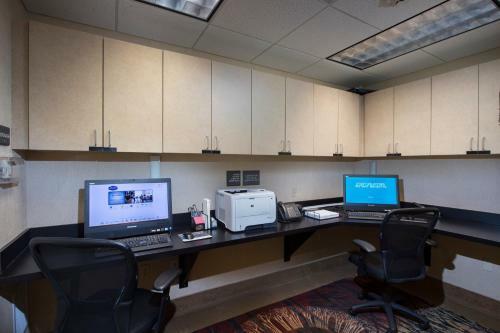 the hotel Hampton Inn Bennington so we can give you detailed rates for the rooms in the desired period.